The rollout of the transmitters is sparking tensions in workplaces as humble and old-fashioned as the dairy farm. WAYNESBORO, Ga. — In the two months since Richard Watson strapped 200 remote-control-sized transmitters around his cows’ necks, an artificial intelligence system named Ida has pinged his phone with helpful alerts: when his cows are chewing the cud, when they’re feeling sick, when they’re ready for insemination. But on the neighboring pastures here in rural Georgia, other farmers say they aren’t that impressed. When a cow’s in heat, they know she’ll start getting mounted by her bovine sisters, so they smear paint on the cows’ backsides and then just look for the incriminating smudge. No fancy AI required. But its rollout is also sparking tensions in workplaces as humble and old-fashioned as the dairy farm. That down-home resistance raises a question farmers might be tackling before much of the rest of the workforce: Can new technology ever beat old intuition — even when it comes to a bunch of cows? 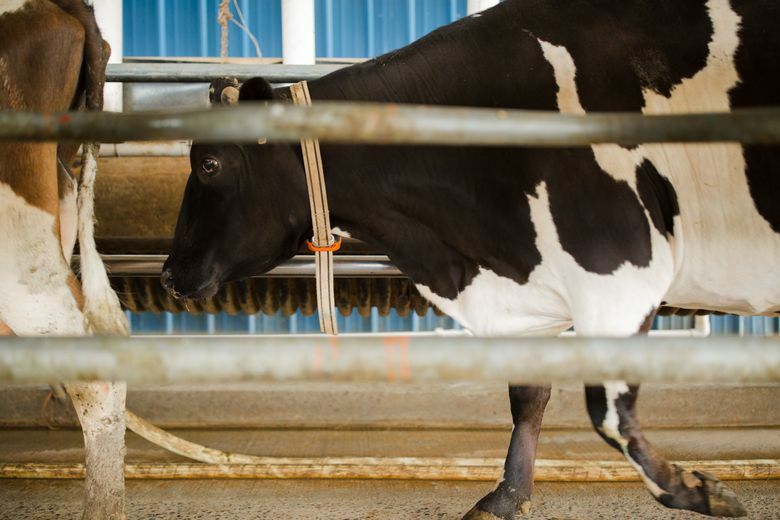 The AI that Watson’s farm uses — called Ida, for “The Intelligent Dairy Farmer’s Assistant” — tracks his cows’ tiniest movements through their collars and then graphs and dissects them en masse. 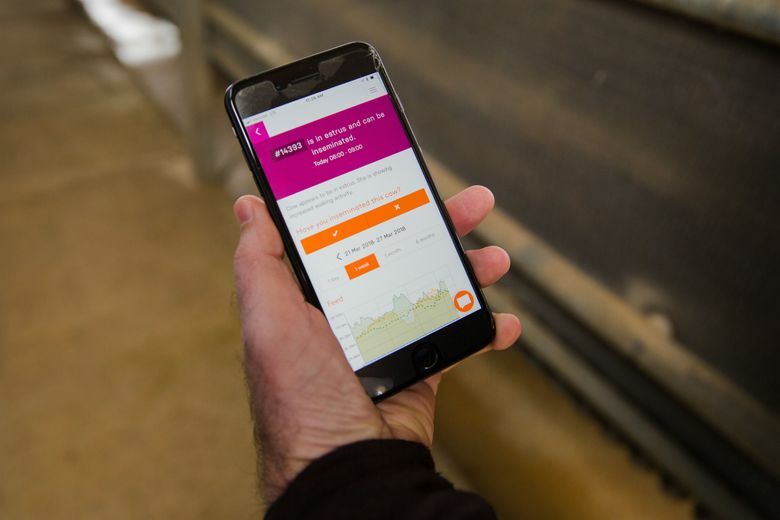 Those “real-time cattle analytics” are then used by the AI to assess diet and movement and predict concerning health issues, such as lameness or udder infections. 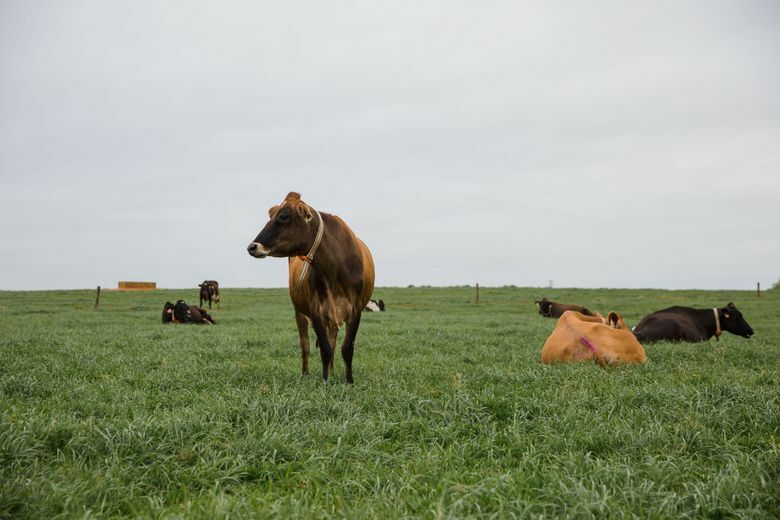 The Ida AI has sparked some interest among farmers eager to compete in an industry in which low milk prices and farm layoffs have everyone on edge. And while truck drivers and cashiers see AI as a job-killing omen, the farmers say they’re in a labor crunch from years of too few young people getting into farming, and need all the help they can get. Connecterra, a development team based in the Netherlands, built Ida with help from TensorFlow, the giant AI toolbox that Google created for its own apps and opened to the public in 2015. That release sparked a major wave of AI development, giving startups a shortcut to calculating advanced mathematics and creating learning machines. Standing one March morning among his cows at Seven Oaks Dairy, one of three farms he runs as part of his Hart Agriculture brand, Watson pulls out his iPhone to show off his Ida app. The AI says he has three “potential health problems to be checked” among his herd: Cow No. 14433 is eating less, while cows No. 10172 and No. 3522 are “ruminating” or chewing less, a sign they might feel ill. His herd’s “to be inseminated” count is at zero, as signified by a reassuring green check mark. His farm’s cattle — crossbreeds of America’s classic black-and-white moo cow, the Holstein, and New Zealand’s relatively slimmer brown Jersey bulls — spend almost all day grazing on the thousands of acres of ryegrass and Bermuda grass that surround his farms. That makes tracking their free-range eating and movement harder than at the average American “confinement” dairy, where cows are kept in stalls and fattened on corn and grains. Spotting problems the old way required closely watching the herd day and night, “unless it’s really obvious — you know, she’s walking or limping or there are buzzards flying overhead,” Watson said. The Ida AI was first trained to comprehend cow behavior via thousands of hours of video and sensor inputs, as well as simpler approaches, including Connecterra co-founder Yasir Khokhar mimicking bovine techniques with a sensor in his pocket. (“I was the first cow,” he said.) Every day brings more cow data and farmer feedback that help the AI learn and improve. 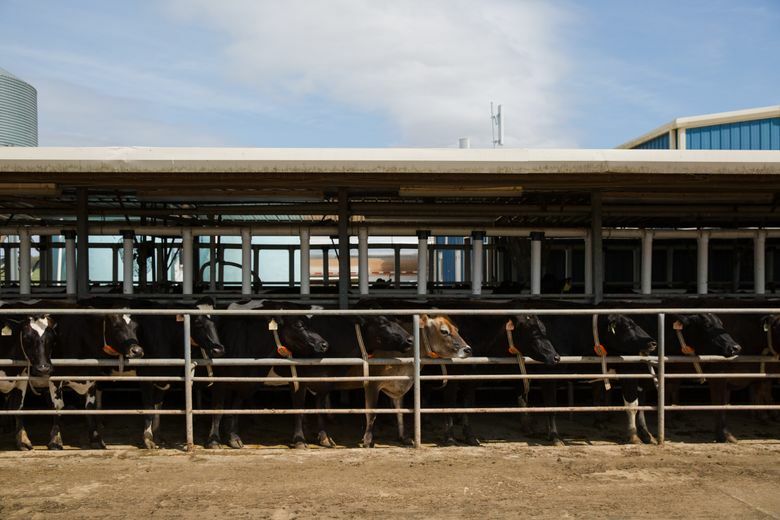 Khokhar, who said he conceived the AI idea while living on a Dutch dairy farm, launched his startup in late 2016 and now counts a few thousand cow “subscriptions” across farms in seven countries, including the U.S., Spain and Pakistan. The company covers all the equipment and service work, and sells monthly subscriptions. Farmers’ prices start at about $3 a month per cow, plus a $79.99-per-cow startup fee, and Watson estimates he has invested about $17,000 in the system so far. His system, unlike Ida, doesn’t track cud-chewing or use AI to tell him which cows to watch or what to do. But he’s OK with that. That’s the way things have always been done here.